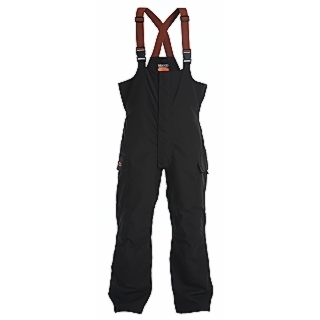 KEEPER Black Bib and Brace: No matter if you’re standing by the reservoir or in a boat on Baltic coast, these waterproof and breathable trousers will keep you dry. They have looser cut so you can adjust the warmth with layers, making these good all year round fishing trousers. High back and front keep you covered even with the shortest wading jackets. All adjustments and pockets are made so that they won’t catch your fly line. The knee and seat area has Thinsulate™ Platinum insulation so even if you’re sitting or kneeling to land your fish you won’t get cold. The seat and knee area is also re-enforced with Cordura nylon.